Many factors can lead to poor indoor air quality (IAQ). Causes often include microbial or mold contamination, other contamination from inside or outside the building, poor ventilation, and other air contamination. The most common causes include contamination of filters, air handlers, ductwork, crawl spaces, attics, air intakes and exhausts. Poor air quality affects the health and well-being of occupants. Sick Building Syndrome refers a contaminated structure where the occupants suffer from a variety of health problems because of bad indoor air quality. The exact types of illnesses vary, and are hard to pinpoint. There might be an increase in illnesses, respiratory problems, or the allergy season becomes a year-round affair. When airborne contaminates are determined to be the cause of the illness, the structure is considered to have Building Related Illness, or BRI. Indoor air pollution (IAP) is one of the most largest environmental issues in the United States. Unfortunately, no one is immune to the short-term and long-term effects of indoor air contaminants. There is a growing public awareness of this environmental issue. Symptoms of poor indoor air quality vary and may depend on what contaminants are present. Reactions to IAP are often mistaken for other illness symptoms such as those from allergies, colds or influenza. The most common symptoms include, watery eyes, sneezing, coughing, headaches, dizziness, congestion and fatigue. Poor indoor air quality can be in homes, offices and commercial buildings and in schools. H&H Environmental and Consulting has the expertise to provide professional Indoor Air Quality (IAQ) Assessments. We can test and treat buildings with contaminated air or poor indoor air quality. Self-testing mold test kits are not designed to take the place of a professional Indoor Air Quality Assessment. 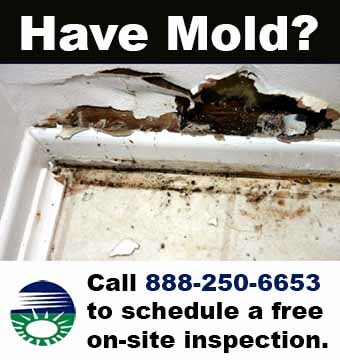 If you suspect that you have an extensive mold problem, a professional should perform proper testing. Albany, Bronx, Columbia, Delaware, Dutchess, Greene, Montgomery, Orange, Putnam, Queens, Rensselaer, Rockland, Saratoga, Schenectady, Schoharie, Sullivan, Ulster, Westchester, Manhattan, Queens, the Bronx and throughout New York City. Where the building has water or plumbing problems, including roof and basement leaks, sewer backup issues, or heating and air conditioning problems. Where the inhabitants fall within a particular risk group. This includes infants, the elderly, asthmatic, or those suffering from respiratory difficulties. Where there has been extensive water damage, and you need to know the extent of the full extent of the damage for insurance purposes. Where the most efficient and cost-effective solutions are needed. Indoor Air Quality testing for mold and other contaminants. Identify Indoor Air Pollution (IAP) and other environmental risk factors. Recommendation of specific solutions to alleviate the issues. Remediation services to remove mold or bacterial contamination. Final air sampling to insure that the building environment is healthy and the air is clean. Suspect a problem? We provide air quality testing in New York, New York City, New Jersey, Connecticut, Pennsylvania and Massachusetts. We accept all major credit cards. Call us today at (888) 250-6653 for a free consultation.